One of the primary objective is to give back what we have learn from the world and in this article, I am doing exactly that. Recently a good friend of mine introduce me to atlas ripe community where to join as a member and host a probe for the benefit of better and real time worldwide networking troubleshooting. At first I was puzzled how does it work and why should I apply to host a probe. After a demo, it looks like this User Define Measurement or UDM will help my work and so I was convinced. It shown a report of network connectivity from ping to ssl certificate checks from the probes worldwide. So I applied and you can too! It can be apply here. After sometime I thought my application was rejected because I have not get any response from the atlas ripe community. It was like 1-2weeks after application. But on 17 october 2017, I got the email from ripe community that they shipped the unit! 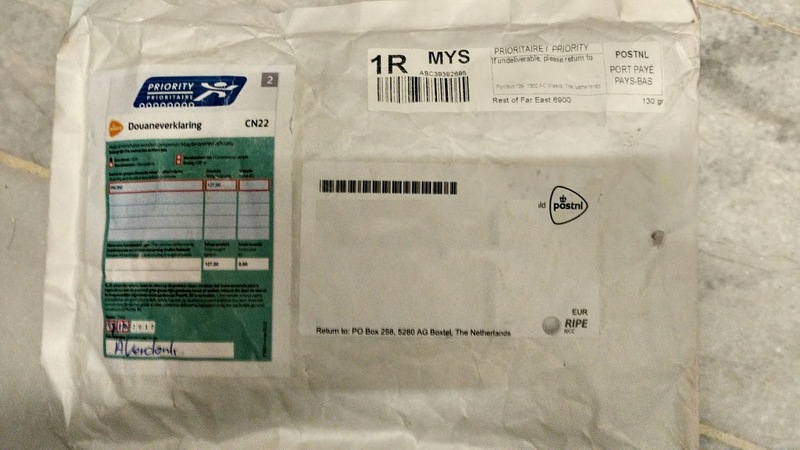 I was excited but it took sometime to reach Malaysia as the parcel travel from Netherlands. It was really easy after that, the probe ID is label as a sticker on the prob and once registered to the site, you are ready to plug the prob to the network. It was hassle less, once plug into the router network interface and this unit is usb powered, it took no time to detected by the ripe atlas site. You can check the probe status here. If you probe is up and service user defined measurement from other users requests, you start to earn credits. This credit can be use for your own user defined measurement! On second day of hosting, I got 538k of credit which is really cool. If you are in system or network admin, I think this will help you to troubleshoot if you have to measure connectivity from network devices worldwide. Going IPv6-only - Gamers, don't do this at home!